NCT 127 Enters Billboard 200 with Newest Album "Regular-Irregular"
NCT 127 enters Billboard 200 chart for the first time! 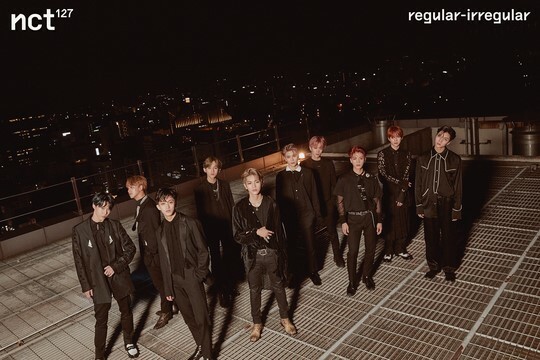 On October 22, Billboard confirmed the entry of NCT 127 on Billboard 200 chart with “Regular-Irregular” album. According to a Billboard article “NCT 127 Earn First Billboard 200 Entry with ‘Regular-Irregular’ Album,” the boy group managed to place themselves on the 86th in the chart with their newest album. After releasing the album on October 12 in the United States, the group follows the footsteps of their proud seniors, BTS. With this record, they became the second-highest charting K-Pop boy band on the Billboard 200. While BTS still holds the first place, the group managed to rise above EXO and BIGBANG in less than 3 years since debut. Meanwhile, NCT 127 recently had a successful U.S. debut with various promotions in the country. The list includes appearing at the 2018 American Music Awards red carpet ceremony, “Jimmy Kimmel Live!,” and others.